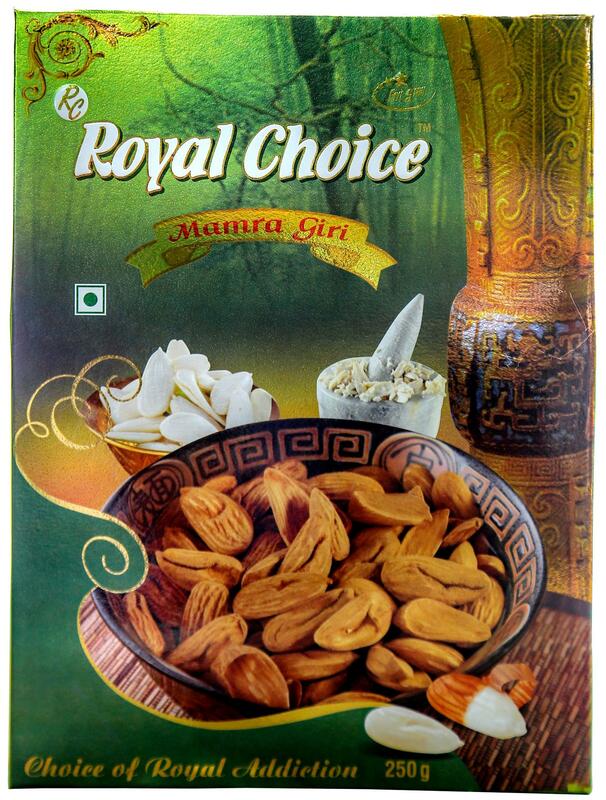 Royal Choice Mamra- 250 Gm - Pack of 1 Royal Choice is the most premium quality almond with highest potency level. Almond nut is the most popular nut in the world. Mamra almonds' delicious taste has been revered as an epitome of welness and good health. Mamra almond kernels provide the richest sources of health-benefiting nutrients which are essential for optimum health. The Mamra Giri is especially imported from Iran which produces the best quality mamra in the world.